What do you get when you mix a group of endorphin-loving volunteers from a gaming company with 1st-5th graders who love superheros? A crazy fun company volunteer day helping kids discover their SUPER powers. R.O.C.K. partnered up with Zynga and Ethos Health Co. last November for a volunteer event to transform the mundane cafeteria into a superhero training ground. With input and resources from the EHC Team Lead and Location Manager, Meg Hallinan and R.O.C.K.’s Marketing & Development Coordinator, Jenna Watanabe, they designed the perfect event for Zynga’s corporate volunteer team. 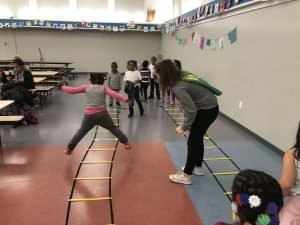 Aligned with elements of fitness and an overarching theme of superhero qualities, this collective effort aimed to empower kids through the power of physical fitness and strong community values. The event setup was quick and flawless. Zynga volunteers tackled each project within minutes, wrapping shoe boxes to look like city buildings, strategically taping red streamers between tables to resemble “lasers” and practicing agility ladder drills bordering the room. Then each volunteer adorned their own superhero mask and cape, preparing for the flood of overly curious elementary school kids. Volunteers and kids kicked things off with a quick discussion about superhero values: safety, respect, compassion, encouragement–and most importantly, FUN–with the promise to uphold each of them throughout the activity. 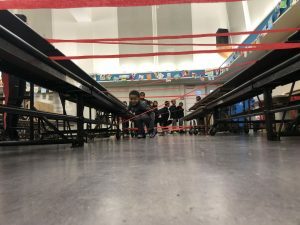 The children threw on their superhero ensembles and scrambled around each station–crawling under the “lasers” and leaping tall buildings in a single bound (and of course, knocking them over with one swift kick). They moved to a weight station to build their Hulk-like muscles, lifting 100 pound barbells (okay, it was more like three pounds) and sharpened their throwing skills with a bean bag toss game. For a final touch, each superhero showed us their best flying pose as they pretended to soar over the cityscape in our photo booth. If you want to support the wellness of San Francisco children while doing something fun, we can help you design your very own group volunteering event.  Fill out our Group Volunteer Request Form or email jenna@rocksf.org.